The Union civil aviation ministry has asked drone manufacturers to install safety hardware such as chips to avoid aerial accidents and security-related incidents, according to a report in The Economic Times. The government directive comes in the wake of several drone-related incidents across the world. Last month, more than 1,000 flights at London’s Gatwick airport were disrupted in connection with drone sightings. Jayant Sinha, the Union minister of state for civil aviation, directed drone makers to install a chip that can enable the devices to self-destroy in case the drones go rogue. The issue came up during a meeting between drone companies and ministry officials on the sidelines of the Global Aviation Summit held earlier this week in Mumbai, the report added. Speaking at the summit, Union civil aviation minister Suresh Prabhu said that all policy-related issues would be sorted out and the absence of a policy would be more dangerous. There are around 40,000 drones in the country, according to government estimates, and the number could touch 1 million in five years, the ET report said. Security and intelligence agencies have repeatedly raised concerns over the use of drones by private individuals. This was one of the main reasons why the government came up with regulations last August. 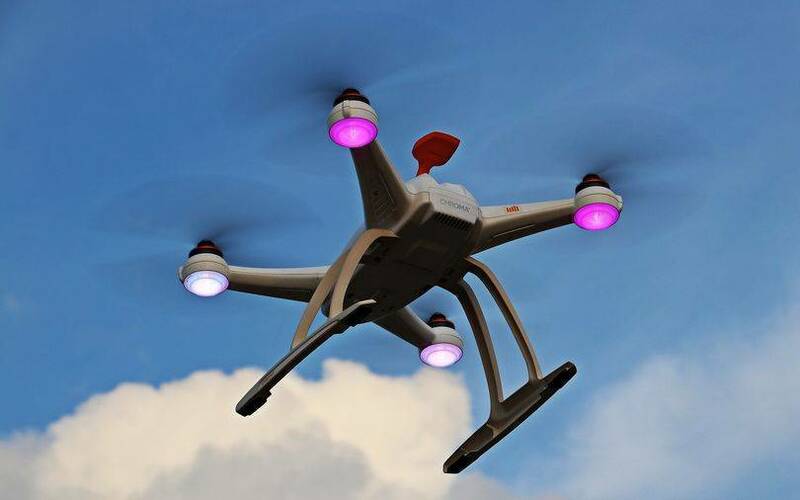 The regulations, while giving the drones official sanction to operate legally and commercially in the country, curbed the import of drones manufactured outside India which do not comply with the requirements for a transponder and SIM-based tracking. All drones are required to obtain a unique identification number via the government’s Digital Sky app, which issues the number in two days. There are several drone startups in the country, some of which provide services like agricultural mapping, weather forecasts and disaster relief apart from catering to requirements of the entertainment industry. The global drone market is expected to grow to $127 billion by 2020, according to a study by consulting firm PricewaterhouseCoopers. In December, drone makers together with other digital industry players like mobile wallets and online wealth management firms started a lobby group called the Digital India Collective for Empowerment or DICE. The lobby has four working groups which will interact with the government’s Digital Sky initiative and other agencies to address policy formation and represent business requirements for their respective industries.